Digital currency known as “Cryptocurrency” has seen an uproar in popularity for the past few months. Cryptocurrency like Bitcoin, Ethereum and Litecoin are used as a digital payment to purchase goods online. The point at which Cryptocurrency aims at is to provide a decentralized currency that cannot be counterfeited, stolen, or reversed arbitrarily via chargeback. 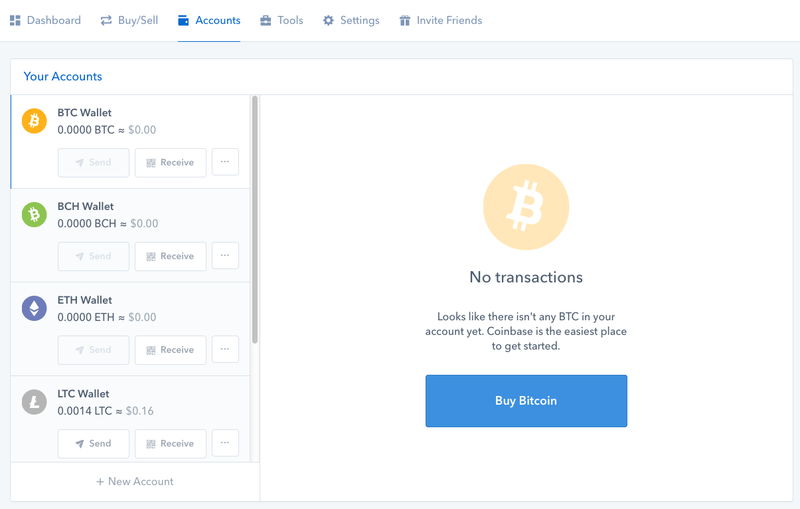 Everyone, including you reading this, has access to purchase Cryptocurrency from many different exchanges but one exchange that grew in popularity and has proven itself reliable is Coinbase. The reason behind creating a decentralized currency at first was to take the power from centralized systems and put it back into people’s hands. Cryptocurrency is a decentralized operation and investors from all over the world can take part. A wide variety of programs and businesses are raising funds through Cryptocurrency. Anyone that can make an online purchase can become part of this project. Ease of access is a tremendous benefit when it comes to Cryptocurrency, there’s no transaction fees and many users will utilize third-party services like Coinbase, creating and maintaining their very own Bitcoin, Ethereum, and Litecoin wallets. 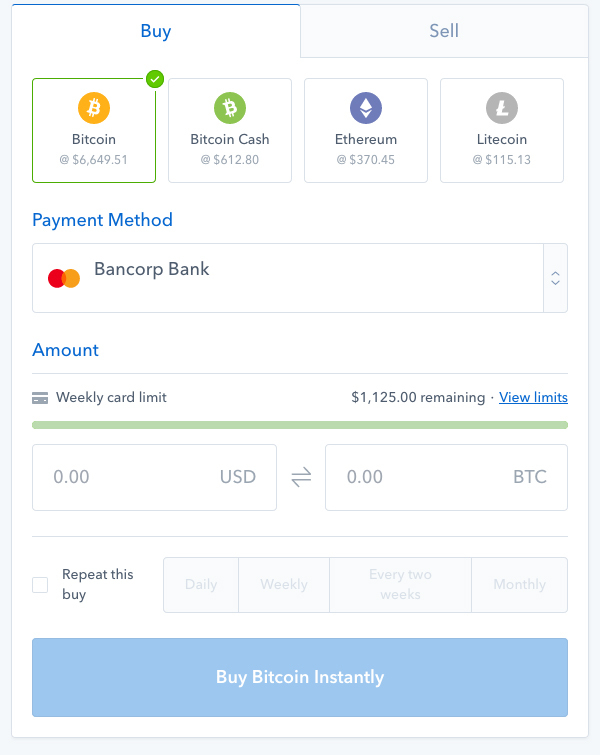 This service is similar to Paypal because instead of cash or Credit and Debit cards, they provide the online exchange system for Bitcoin, Ethereum, and Litecoin. You don’t need to share your identity, personal information, or whereabouts of the transactions made between you and the receiver. All transactions are secure as it is using Cryptography Technology and it is next to impossible for any person other than the owner of the wallet to make any payment from the wallet, unless they were hacked; which there are many ways to protect yourself from. Making payments using Cryptocurrency is easier than you think. You can do it in just a matter of a few seconds, it’s as fast as it is because you don’t require to reveal many details, for example, you don’t even need to enter your Credit/Debit card information. All that’s required to make a payment is the address of the wallet of the person or enterprise to whom you wish to make the payment to. The amount chosen shall be credited to the receiver within a few seconds to a few minutes depending on the Cryptocurrency which makes it very desirable for many individuals. The entire Bitcoin network relies on block chain technology which is a publicly shared ledger. All transactions are included in the block chain so wallets can calculate their balance and new transactions can be verified to be spending cryptocurrency that is actually owned by the spender while the block chain enforces security with cryptography. A transaction is a value transfer between crypto wallets that gets transferred to the block chain. Wallets are a secret string of data called a private key, which is used to assign transactions, providing a mathematical proof that they have come from the owner of the wallet. The signature also prevents the transaction from being altered or introduced by fraud or charge back by anybody once it has been issued. Not only does Cryptocurrency allow you to securely purchase products online, but it can also make you money as the value increases! For example, if 0.50 Litecoin is worth 100 one day, the next day that value could increase to $150! The Crypto Market is unpredictable but it has made some money for quite a bit of people! Many people consider investing into cryptocurrency but are unsure of where to start because there are many perplexing topics to investing in cryptocurrency. 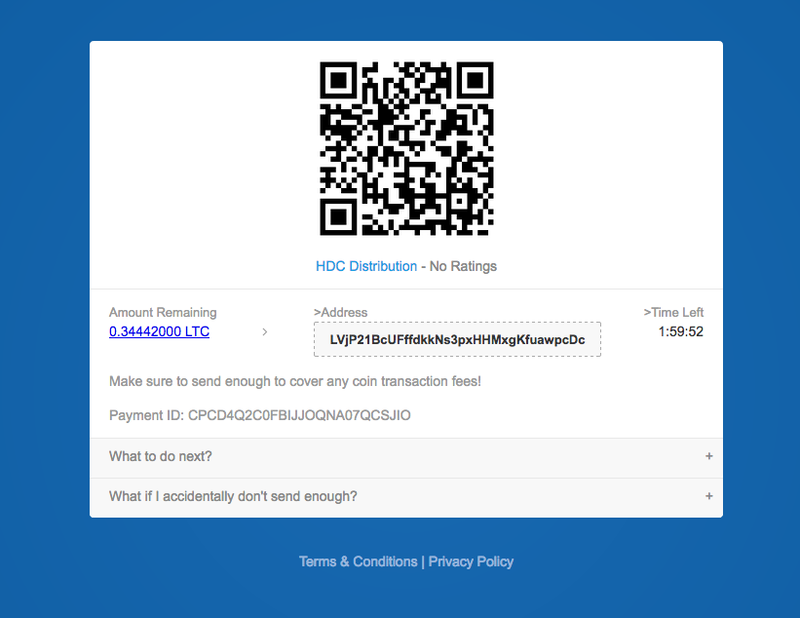 Creating your very own Cryptocurrency wallet is easy! Before you go ahead and take a shot at doing it, you’re going to want to make sure you have everything you need. 1. A valid State Issued Driver’s License or Photo I.D. 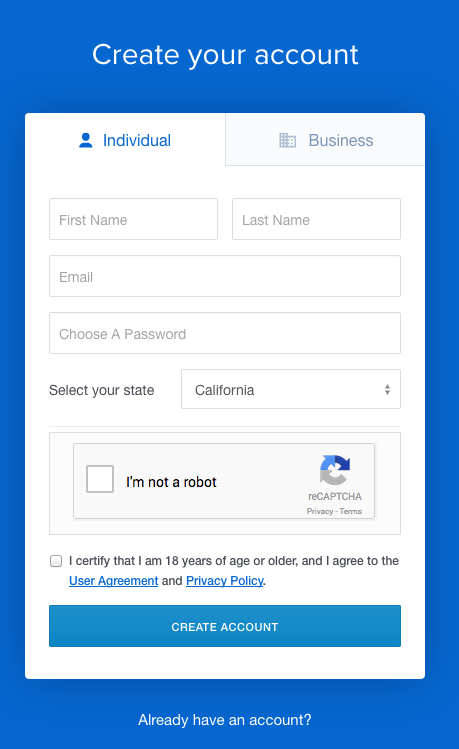 Fill out the required form to create your account. Afterwards, in your “Buy/Sell” Tab, add your card or Bank Account and buy your Cryptocurrency! 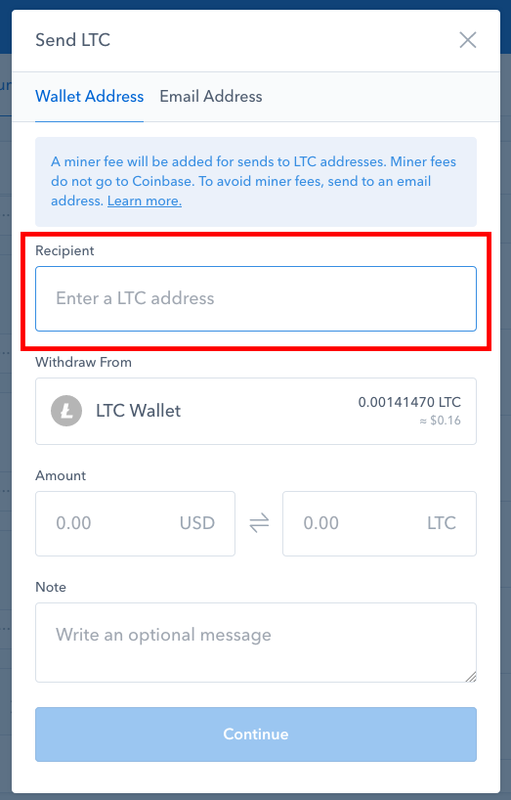 We recommend using your Debit Card for instant transactions as Bank Wire Transfers on Coinbase can take 5-7 Business Days. We also recommend using Litecoin as your Cryptocurrency of choice because of less time between transactions, this way we can get your order out in a timely manner. Congratulations! 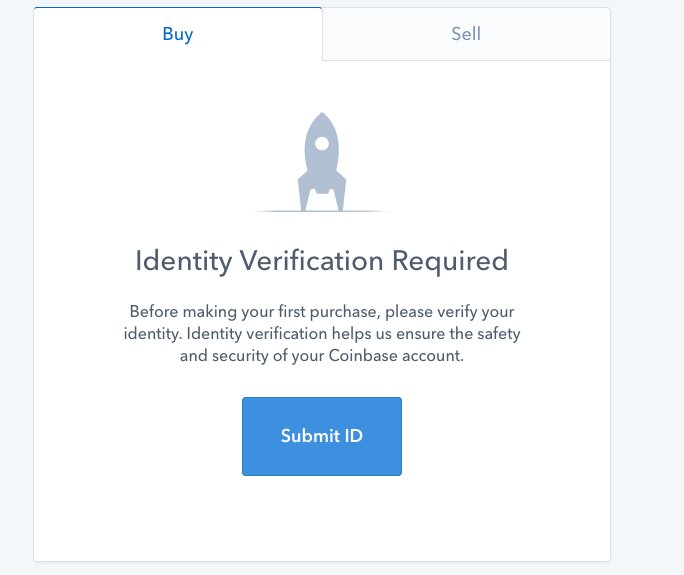 You are now set up and ready to go to purchase with Cryptocurrency! 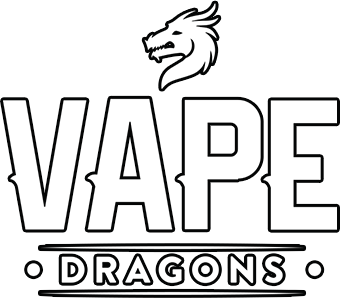 Now we’re going to show you how to check out with Cryptocurrency on vapedragons.com! After entering the full amount, Hit “Continue” and you’ve successfully placed your Order with Cryptocurrency! Be sure to send enough so your fees are covered if there are any! 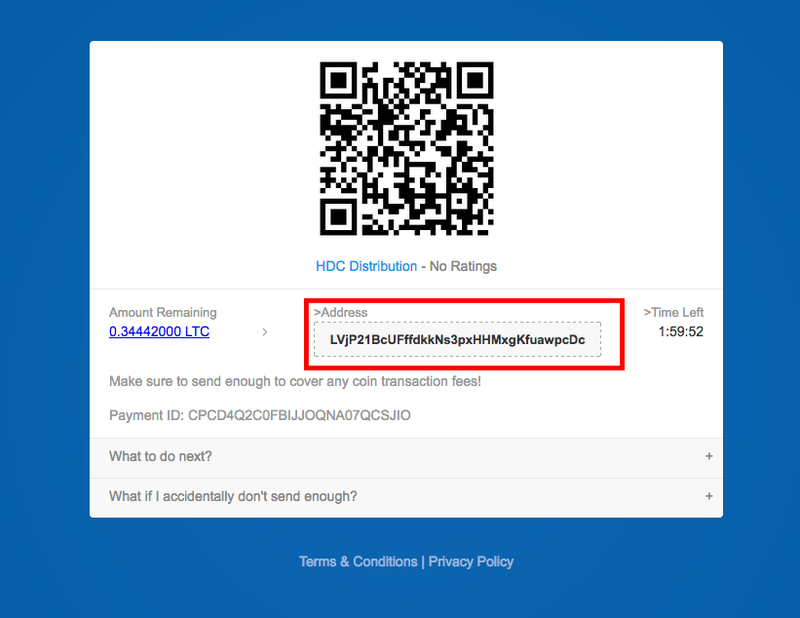 Once again, we highly recommend using Litecoin to complete your purchase as the transaction times seem to be quickest with Litecoin. Congratulations, you now know how to buy things with Cryptocurrency! Enjoy!